Goal: to encourage participation inrecreational programming by advertising. 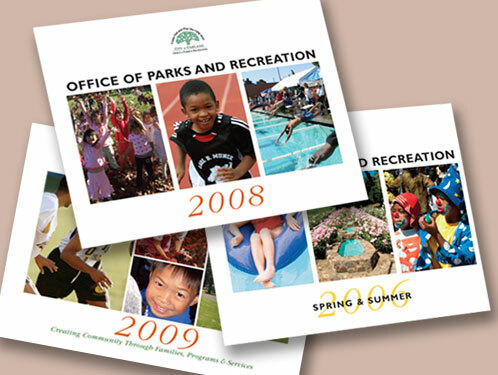 The City of Oakland boasts over a hundred city parks, many of which offer year round recreational programming for children and adults. In 2005, Jung Design completely redesigned its 64-page catalog of spring and summer activities.We just published the 5th catalog for 2009.